The firing took place in Jhajar Kotli, near the last police station in Jammu division on the Jammu-Srinagar highway. The Jammu-Srinagar highway was put on high alert after the firing. 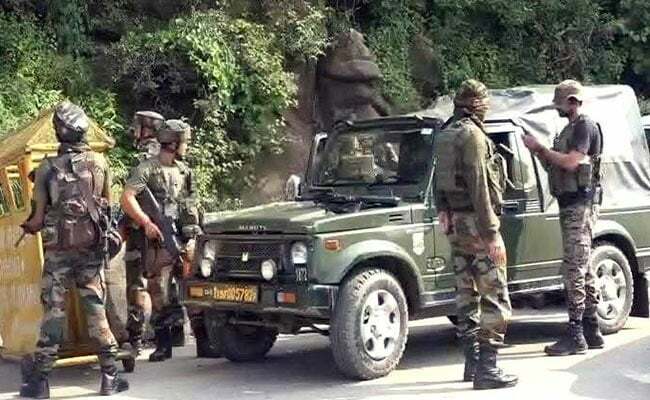 Suspected terrorists travelling in a truck opened fire near a check post on Jammu-Srinagar highway in Udhampur this morning. The group escaped after the attack, police said. The suspected terrorists opened fire when they were stopped on the highway by security forces as part of routine checking and asked them to step out of the truck. The firing took place in Jhajar Kotli, near the last police station in Jammu division on the highway. The group was believed to heading to Kashmir. The driver and the conductor of the truck have been taken into custody and are being questioned, police said. The area has been cordoned off and a high alert has been sounded on the highway after the firing. Police said a search operation is on. Security personnel recovered rifles from the truck after the firing. "During a routine checking at a 'naka' (checkpost) near the Jhajar Kotli police station, one gunman fired at the paramilitary trooper and fled into a lane nearby. The area has been cordoned off," the police said.